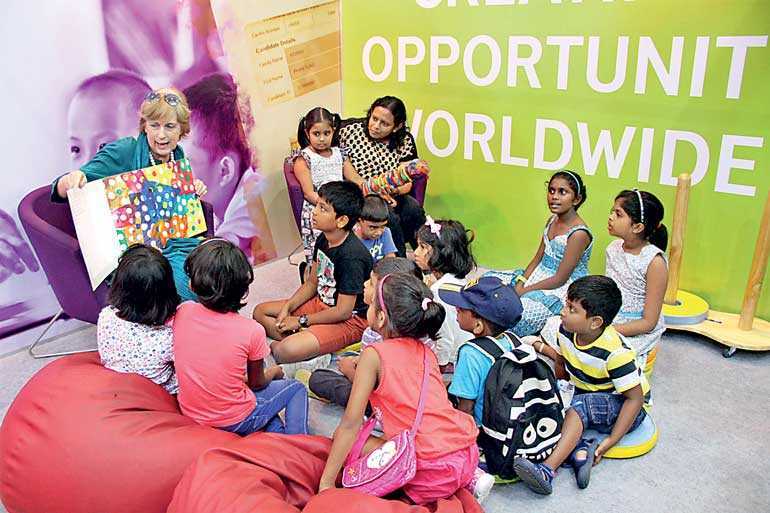 If last year’s figures are anything to go by, some 1.5 million book lovers from all over Sri Lanka can be expected to visit the BMICH over just 10 days later this month, when the annual Colombo International Book Fair (CIBF) returns for its 20th edition. More than 450 exhibitors, 40 of them from overseas, have confirmed participation in the Book Fair, by footfall the largest annual exhibition in the country across all sectors. Open to the public for 12 hours from 9 a.m. to 9 p.m. each day at the Sirimavo Bandaranaike Exhibition Centre within the BMICH precincts, this year’s Book Fair and will feature an ancillary Education and Career Guidance Exhibition at the BMICH’s Delegates Lounge. Organisers said 30 exhibitors including affiliates of foreign universities are expected to participate. The Book Fair will see publishers, importers and retailers of books in English, Sinhala and Tamil as well as stationery, offering their products at 20% off their regular selling price, while stalls in the bargain section in Hall N will offer discounts of up to 80%. Entrance is free for school children, university students, members of the clergy and armed forces personnel in uniform. Other visitors contribute an entrance fee of Rs. 20 which is credited in its entirety to the ‘Daru Diriya’ scholarship fund which provides scholarships to impoverished students around the country. Selected students are sponsored from Grade I until they conclude their university education. The ‘Daru Diriya’ Scholarship scheme has sponsored many deserving children for the past 11 years. Minster of Education Akila Viraj Kariyawasam, will officiate as Chief Guest at the opening of the Fair on 21 September while Gill Caldicott, Director of the British Council, Sri Lanka, will grace the occasion as Guest of Honour. A highlight of the book fair will be the ‘Ketapath Pawura’ or ‘Mirror Wall’ near the open air hall. It offers visitors a wall on which to pen their creative pieces of poetry. After the conclusion of the Fair, the best works of visitor poetry will be compiled into a book and published, the organisers said. The Fair will also feature a Kids’ Corner with art and craft activities. Over the 10 days of the exhibition, a series of book launches and literary discussions will provide interesting diversions for the literati, while cultural events including dramas and musical performances organised by Event Partner, the Ministry of Cultural Affairs, will add colour to the evenings. As in other years, the organisers have arranged free shuttle bus services from Borella, Kollupitiya, Rajagiriya and the Town Hall to the BMICH. Visitors who arrive by car will have the services of a shuttle bus from the car parks to the exhibition halls. Ample covered outdoor seating, refreshment outlets, free drinking water and printed stall plans have also been organised for the benefit of visitors. Earlier in August, 14 leading book publishers and booksellers formally signed contracts to sponsor the CIBF 2018, with Sarasavi Book Publishers taking on the mantle of Principal Sponsor. The Platinum Sponsors of the Fair are Akura Book Publishers; Godage Book Emporium; M.D. Gunasena & Co; Master Guide Publications; Rathna Book Publishers; Sadeepa Book Publishers; Samayawardhana Publishers and Wasana Book Publishers; while the Gold Sponsors are Dayawansa Jayakody & Company; Samudra Book Publishers; Sathara Prakashakayo and Susara Publications. Organised by the Sri Lanka Book Publishers’ Association, with the support of Official Banker – Sampath Bank, Electronic Media Sponsors – Sri Lanka Rupavahini Corporation and Neth FM and Hospitality Partner – Makeen Books; the Colombo International Book Fair 2018 will be a showcase for all leading book publishers, booksellers, author-publishers, sellers of educational aids and material and providers of IT services.